Have you come across any other myths? Let us know. Quite the contrary.  Employers across all sectors, including health and social care and the legal profession, employ people with criminal records. In some cases, because of the Rehabilitation of Offenders Act, it’s illegal to refuse someone with a criminal record a job simply because of their criminal record. That’s why, if an applicant discloses a criminal record, you shouldn’t discount them but instead carry out an assessment. There are some jobs where you’re not allowed to employ somebody because of their criminal record. For example, for jobs involving work with children, you are not allowed to employ somebody who is barred from working with children. This would show up as part of an enhanced plus barring check that you would be legally required to carry out. Every year around 5 million criminal record checks are carried out and over 240,000 disclose convictions or cautions. The majority of criminal records are made up of single offences or events that took place many years ago and are no longer relevant. Only 8% of people that receive a conviction are sentenced to prison. Criminal records are disclosed to employers to enable them to make an informed decision, yet the official disclosure is only one (limited) source of information. It doesn’t provide any circumstances or details, which is why a conversation with the applicant is essential to help you make an informed decision about their suitability for the role. Although regulators operate differently to one another, many require employers to take reasonable steps in their recruitment process and this often means doing a criminal record check at the level appropriate for the role. The decision as to whether to recruit will then be down to you. Where regulators make decisions themselves (such as the Security Industry Authority and the Solicitors Regulation Authorities), the decision is up to them and this shouldn’t factor directly into your recruitment process. Usually, once an applicant has achieved regulated status in their profession, you will be able to employ them in that role. In a survey of 474 employers that recruited people with convictions, only 23 reported negative experiences (less than 5%). Of those employers that recruit people with convictions, 87% consider them to be at least as productive. 47% of employers say that those they’ve recruited with convictions stayed for over 3 years. In a survey of employers that report positive experiences, 86% say that they settle into work well with colleagues. Marks & Spencer report that hiring people with convictions has increased morale and motivation among staff, who say they are proud to work for an organisation offering people a second chance to get back on track. Freshfields, says recruiting ex-offenders helps diversify its workforce. What your customers want is to receive a high-quality service. Your role is to recruit the best people to do that job. If the best person for the job happens to have a criminal record, you are doing your customers a disservice by not employing them. Information disclosed by the applicant should remain confidential between you and them. You can agree with them that they don’t discuss their convictions with others. A person who willingly discloses a criminal record is someone who wants to move on positively with their life. 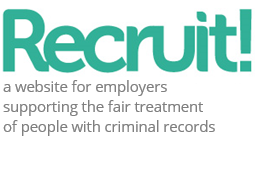 A fair and transparent recruitment process you will make it safe for candidates to disclose their criminal record. Ensuring a full and frank exchange of information leads to informed decisions and professional risk reduction. Simply asking applicants about criminal records does little to protect your organisation, and can create a false sense of security. After all, everyone was criminal record free once. Your business will have a range of measures in place to ensure it runs smoothly and without risk to the business or other employees. Training, supervision, CCTV, health and safety, cash handling procedures and safeguarding policies all contribute to a safe and effective workplace. The first thing to be clear about is that you don’t need to disclose spent convictions to insurers. For most roles, you won’t even know if your employees have got a spent conviction. For those roles where you ask about spent convictions and you’ve employed the person, you do not need to pass this information on to your insurers. Indeed, if you do, it could cause you problems under data protection legislation. If you’re employing somebody with unspent convictions, you should check with your insurer. Most insurance companies only ask about the unspent convictions of the directors of the company. However, insurance law is underpinned by a principle of utmost good faith, which means that you should volunteer any information that a reasonable insurer may may regard as a material fact. On this basis, most insurers would expect that an employer would disclose to their insurer an employee’s previous convictions. In practice, it is unlikely that your insurer will judge that the convictions of a small number of individuals causes your policy problems. Fair Chance Recruitment is not about preferential treatment. It’s about giving a fair opportunity to all suitability qualified and experienced applicants – whether or not they have a criminal record. Many organisations struggle to recruit. Often, they don’t receive the quality of applications that they’re looking for. When you consider that over 10.5 million people in the UK have a criminal record, that works out to be a significant proportion of the working population (one in three people claiming Job Seekers Allowance have received a criminal record in the last 10 years). If you’re looking to encourage more applicants to want to work for you, can you afford to ignore people with convictions? Employment is the single most important factor in preventing reoffending and people desisting from crime in the future. Given the opportunity, many people with convictions go on to live happy and fulfilling lives contributing to their communities. Many organisations are funded or contracted to carry out work on behalf of other organisations. The nature of these relationships means that there are often complex contracts and terms setting out the ways of working. It’s common for contracts and terms to set out the need to take reasonable steps in recruitment – such as carrying out a certain level of criminal record check on new employees. However, it’s highly unlikely that these terms will dictate precisely who you can and cannot employ. They will rarely prescribe exactly what you should and shouldn’t do in relation to recruiting people with convictions. We’ve only ever heard of one example where it was written to into a contract to ask about convictions at application stage. In practice, we would recommend that you examine the terms of your specific contract; this may involve liaising with your procurement team or other relevant department. This should enable you to get to the bottom of any specific requirements. Indeed, through the Public Services (Social Value) Act, commissioners of public services need to think about how they can secure wider social benefits through their tendering process, such as providers recruiting people from disadvantaged groups. So, there’s actually an opportunity for those tendering to deliver public services to proactively do more in recruiting people with a criminal record and demonstrate the benefits that this would bring. When questioned why they’re carrying out enhanced criminal record checks, many organisations say it’s because “our funders insist on it”. It may be the case that a funder requires you to undertake certain checks where required – but this will depend on the role involved. A blanket requirement to do enhanced checks is likely to be unenforceable as a contract term – as it may require you to commit a criminal offence by undertaking a level of check on a role that is not eligible for that level of check. We have guidance on carrying out the correct level of criminal record check.